If there is an photo album to this event I would love to see it. My family and are plannin to go next year. 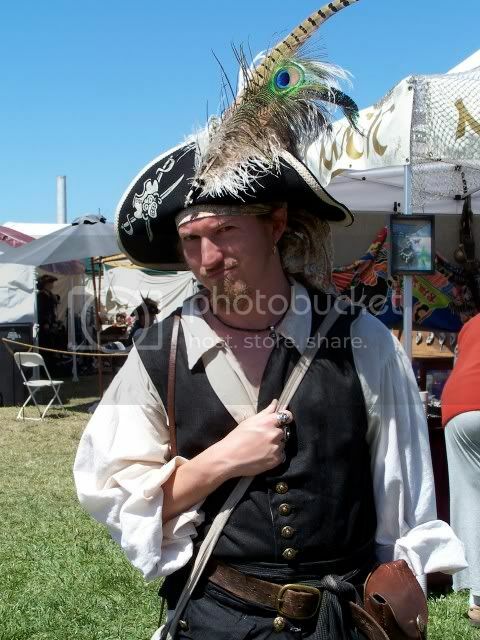 Go to Flickr and in the Search field type: Northern California Pirate Festival. Then sort by most recent. Folks are still recovering, so I'm sure there will be more pics available soon! Thanks there are about 250 pics already up. this ones quite bigger than others I have seen. Friday...Sailing from Richmond to Vallejo on the Aldebaran as part of the crew, and learning the ropes was the ultimate thrill. With the wind gusting, the ship heeled over, and the scuppers under water....that's sailing! 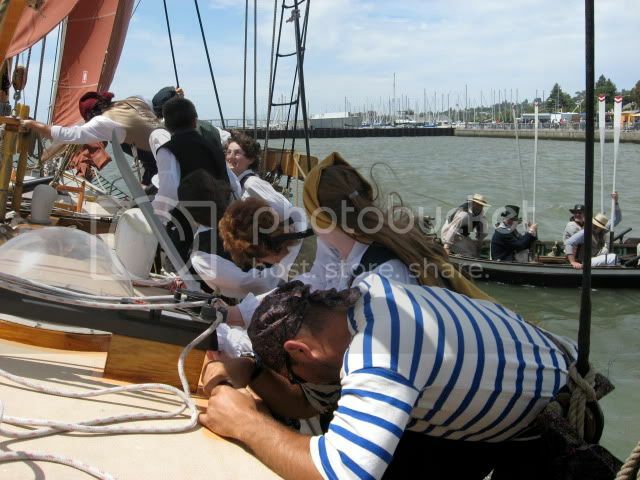 Saturday and Sunday's battle sails were a blast, literally. And yes, trying to fire guns one minute, and trim sails to tack the next, keeps a pyrate on her toes...all done while holding a slow match. (Okay, not really at the same time, but close! LOL) Oh, and having the jib sheet flip my sunglasses off and almost send them overboard...which is tricky, as they are clip-ons. Well, at least it wasn't my glasses! A million thanks to Captain Hayden, his wife Fern, and Iron Jack and Red-Handed Jill for the invitation to sail, and be part of the cannon crew again this year. And an honor to be asked back next year for more fun. Quick thanks also to Tales of the Seven Seas, Oderless Eye, Bilge Munkey, and this pyrate groupies fantasy come true...a picture op with Pirate Charles! Ransom is one very happy, and very tired pyrate! Just got back from Norcal. NorCal was a blast ....I got my self and my crew gate Listed with Tales of the Seven Seas..I am very grateful to Red Handed Jill (Thanx fer the Pic BTW) and Poison Quill for the trouble on such a short notice. 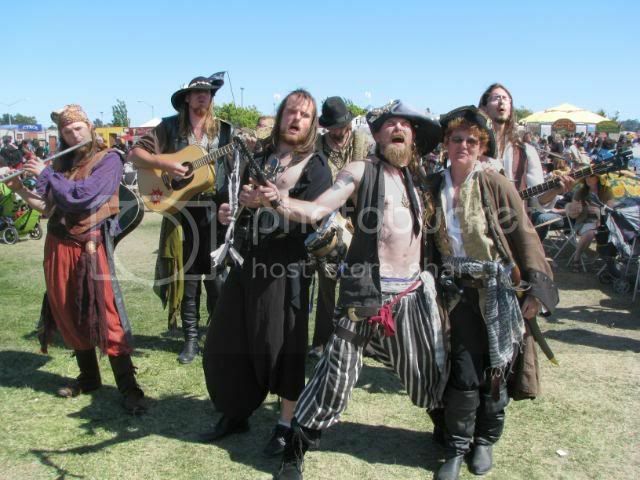 It was the only way to be able to fire weapons..
~ The Pirates from Pirates Magazine the likes of Talderoy and Scarlett Harlott and her aunterouge were on hand lurkin around. Once again I met up with a couple of other mates Crazy Boots Martin and MadL.. MadL..ye should post some pics in the garb thread! He looked very sharp! Of course i need mention CannonCali too whom gifted me a hand made ship..its auwsome! The Stage acts were very good... We Watched Jack Sparribbs , Formerly Known As (Ace Of harbor), And the Sea Dogs, and Pirates Charles.. and Eye Got on Stage to lend Mr. Mac a hand on the kids stage and sang along with him with a few other of my crew too. Shortly after i finally got to meet Red handed Jill..been two years I think.. 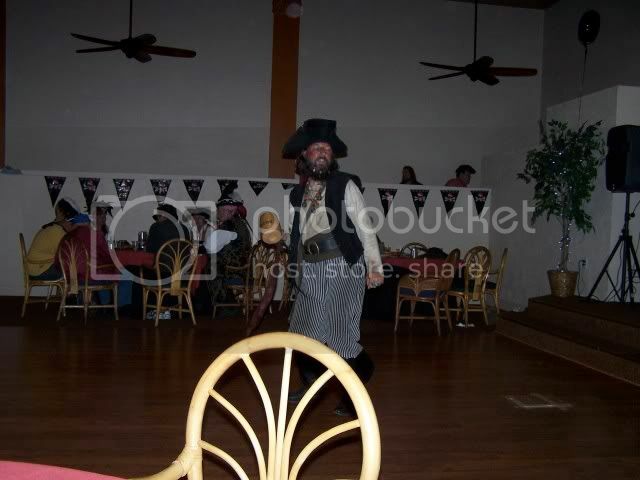 The after Party at City Lights Cantina was fun..most of the people who showed up were pretty much burnt out from the days activities so the energy was a little on the tame side while BilgeMonkey spun piratey tunes on the stage..When He played "I'm A Scalawag" By Capt. Bogg & Salty I could not keep my feet still and wound up entertaining the whole room with my piratical dance which will more than likely find its way to YouTube. Half the room got a good laugh on my account...more over I enjoyed the spot light for the moment. Sunday we Got there in the early after noon in time to film the Boom Pirates do their act..i really liked it. 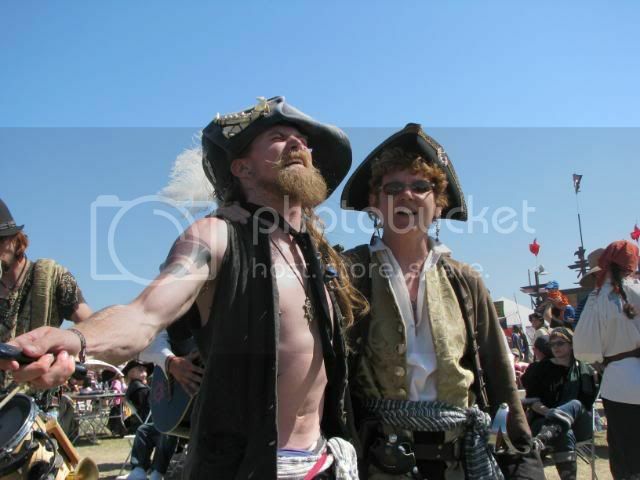 Ransom ..The Most giddy Pirate Iv'e to meet..at least when it came to Pirates Charles..hey they luv ye Ransom! Before coming home we raided the Belly Jelly bean factory in Fairfield and took the tour. We as a matter of couse plundered the jelly beans.. Eye am now addicted to chocolate jelly beans..
Oderless Eye, dancing to the song Scallywag, as provided by Bilge Munkey and his "mission control" box full of music, which he provided before Pirate Charles took the stage. This was at the cantina after hours party. Light on yer feet, ye are, Eyes! Bilge Munkey the morning after the cantina party, strolling among the merchant booths. The symbolic mooning of the British as we made our last pass on Saturday. We thought it only fair, as they were pelting us with hard tac. We have a little surprise planned for them next year.